First and foremost our purpose is to spread the word that Jesus is the our Lord, and that He died for our sins though He lived a perfect life he took the fall for our imperfect lives and rose from the dead three days latter showing that He is God in flesh! We hope that by serving you through running this league we show some of the attributes Jesus carried himself while walking this earth 2000 years ago. The Suburban Church League is a not for profit Softball League. Our Mission is to provide churches with the opportunity to play recreational softball in a safe and fun environment. 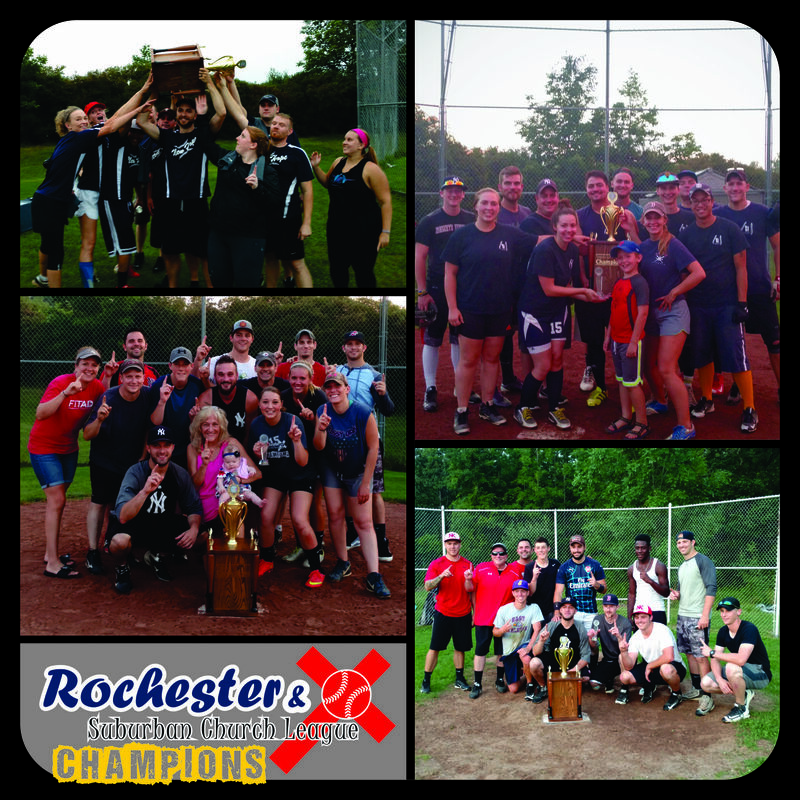 We bring together churches from all over the West side of Rochester, NY in fellowship over the game of softball. The Board of Directors is fully volunteer which allows us to keep our league fees at the Lowest in Rochester! We offer a 12 game season with a playoff bracket following the Season.